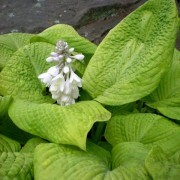 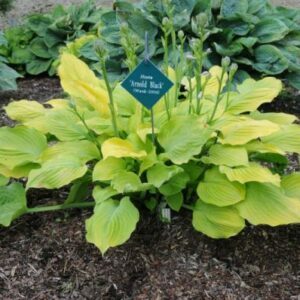 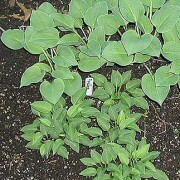 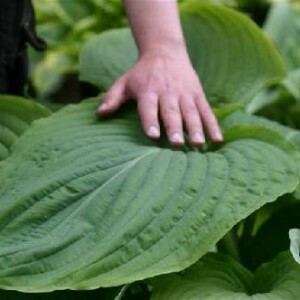 Large: 23″ high by 40″ wide semi-upright of medium green-centered, gold-margined foliage; leaves 11 1/2″ long by 9″ wide (16 vp); leaf blade moderately ripppled, broadly ovate-shaped. 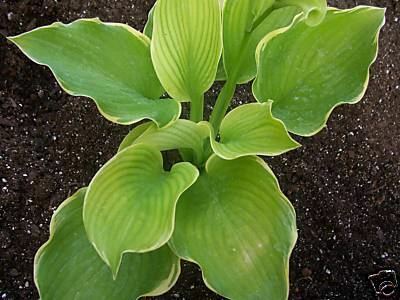 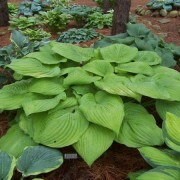 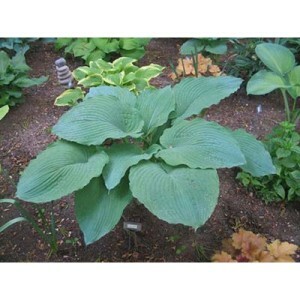 Amber Waves of Grain’ Hosta Elegant and majestic aptly describe this large semi-upright mound. 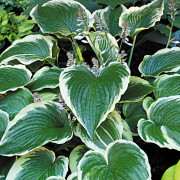 Its gold-margined foliage and pale lavender flowers on 4′ scapes in July make this a great specimen.